Fire OG Kush Marijuana-Cannabis Strain Information – Fire OG is known to be one of the strongest OG strains. With THC potency that can measure up to 25%, it provides a mix of energy, euphoria, uplifting and cerebral stimulation. Fire OG is an Indica- leaning strain (70% Indica/30% Sativa). It is a cross between the famous OG Kush and San Fernando Valley OG Kush. SKU: N/A. Tags: cannabis, Fire Og, Fire OG Kush Marijuana-Cannabis Strain Information, Fire OG Marijuana Strain, Indica-dominant. Many users regard Fire OG Kush to be the most powerful OG Kush strain in the world. Fire OG was created by the breeder Raskals OG Kush by crossing the original OG Kush and San Fernando Valley OG Kush (SFV OG Kush) and is available only as a clone. Fire OG Strain is an indica-dominant strain composed of 70% Indica/30% Sativa. Fire OG has leafy, airy green nugs, long thin bright orange hairs, purple undertones, and a frosty white layer of trichome crystals. The strain has a pungent, citrusy, piney taste with a hint of woody Kush, and aroma similar to sweet burning pine. The effects of Fire OG Strain can last up to 3 hours, depending on the smoker’s experience and tolerance. Fire OG Strain delivers an instant cerebral stimulation and euphoria that spurs creativity. 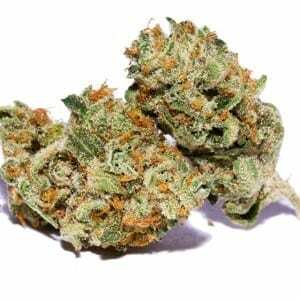 Fire OG Marijuana has a very potent and relaxing body high that can sedate or couch-lock inexperienced users. Fire OG also stimulates the munchies. If you want to consume this strain, make sure you have plenty food around. Fire OG is a perfect strain from treating extreme pain resulting from illness or injury. It improves the condition of those suffering from mild to moderate depression, fatigue and sleep disorders. It often suggested for use during the late afternoon and evening, Fire OG fights symptoms of stress, anxiety, and different eating disorders. Fire OG Makes me perfectly Happy!!!!!! OG Kush is most powerful strain in the world. Love it!!! Real taste. Its my favorite !!! Great, relaxing weed to smoke right before bed. Awesome!